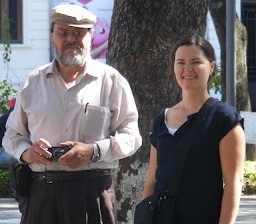 Country Rep Fernando Romero and Regional Program Manager Genevieve Drouin in Santa Cruz. CFTC’s adventures in the Andes continue! Wanted to update you on the Bolivia visit by our Director of Programs Heather Johnston and Regional Program Manager Genevieve Drouin to our Bolivian partners and projects. This annual monitoring visit is an opportunity for the CFTC team to see first-hand the progress on CFTC-funded projects, the performance of our partners and to look at ways to deepen our impact to make a difference in the lives of Bolivian children. This visit will also include Theory of Change stakeholder workshops with our partners and key government and community leaders from La Paz, Santa Cruz and Sucre. July 23, Santa Cruz, Bolivia–The humidity was visible in the air as we landed over the Amazon destined for Santa Cruz. With a population of over two million, it is Bolivia’s largest city, sitting at the foot of the Andes where the Amazon basin begins. 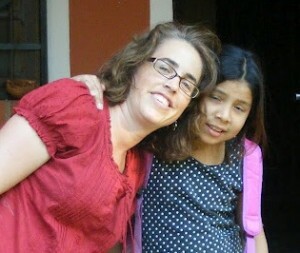 Director of Programs Heather Johnston and young friend at Alalay's El Torno home for children in Santa Cruz. 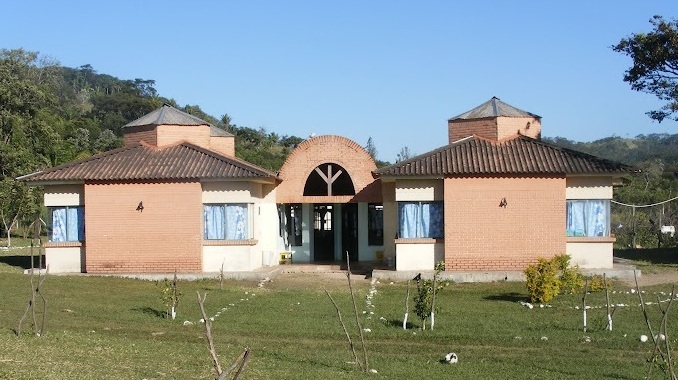 Santa Cruz has experienced rapid urban growth in recent years and has a vibrant feel to it, but poverty is also a reality of this process – not only within the city, but rings have grown around it with people living in conditions of extreme poverty. This urbanization process has created new problems affecting children and youth, including drugs, prostitution and children living on the streets. The dorms at El Torno, Alalay's Santa Cruz home for children. Today we visited our community partner Alalay, an organization dedicated to rescuing children from the streets, guiding them through a rehabilitation process that will eventually allow them to reintegrate into society in a meaningful and productive way. 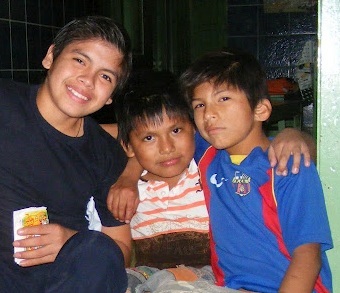 Alalay operates project sites in Santa Cruz and La Paz with support from CFTC. We visited the El Torno site today, which houses about 60 girls and boys, providing them with shelter, nutritious meals, psychological support, and job skills training such and baking, carpentry, sewing and computer skills. In return, the children must commit to the rehabilitation process and attend the local public school. 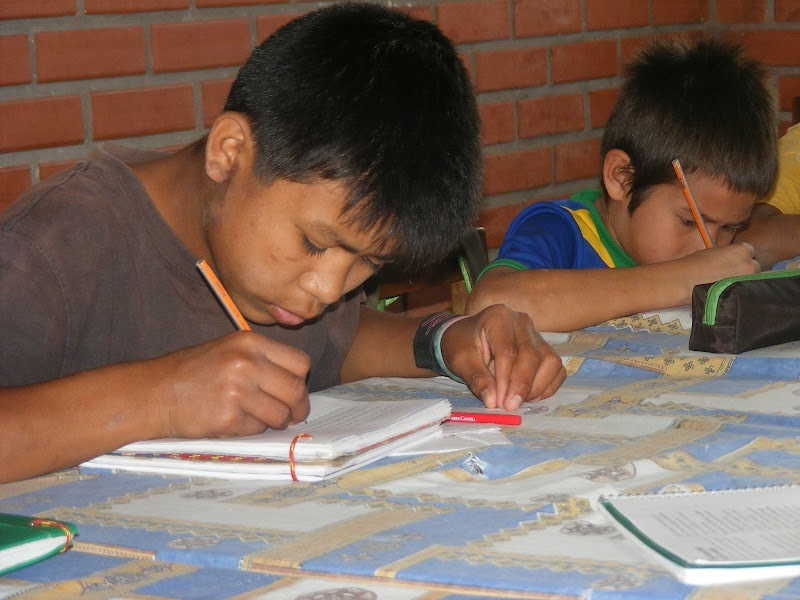 Young boy in class at Alalay's El Torno village. We had the opportunity to speak with a number of Alalay staff, including educators, social workers and a psychologist. Their passion was contagious! Each of them clearly play such a crucial role in providing children with a second chance to grow up in a safe and protected environment, with the resources and support they need along the way to succeed. In the evening, we were taken out to the streets where the children live and where Alalay does its work by one of the Alalay staff to help us better understand where these kids are coming from and the context of street life for children in Santa Cruz. He explained to us the challenges of connecting with these children who live in high-risk situations, many victims of broken and abusive homes, often with substance abuse issues themselves. His work involves returning to the same places to spark conversations with the same children week after week, often month after month, eventually gaining enough trust to persuade them to come to the Alalay centre, have a warm meal, take a bath and receive some much needed support. This is not an easy task, and there are many children who slip through his grasp along the way, but he told us the few who do stay are what make his work worthwhile. It was an eye opening first day in Bolivia on the challenges faced by street children and the colossal task of reintegrating them into society and giving them a chance at life. It was also a clear reminder of the immeasurable value of our donors’ support! Our next stop is Sucre to visit our partner IPTK and their early childhood development and after-school support centers. Stay tuned!